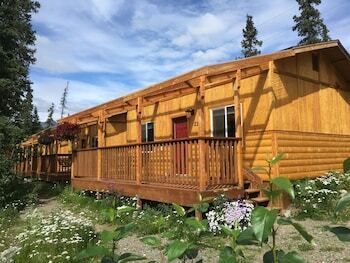 With a stay at McKinley Creekside Cabins in Denali National Park, you'll be 14 mi (22.5 km) from Wilderness Access Center and 14.9 mi (24 km) from Denali National Park Visitors Center. The front desk is staffed during limited hours. Free self parking is available onsite. When you stay at Alaska Spruce Cabin's in Healy, you'll be 6 minutes by car from Black Diamond Golf Course. When you stay at Denali Touch of Wilderness in Healy, you'll be 13 minutes by car from Black Diamond Golf Course. Free self parking is available onsite.